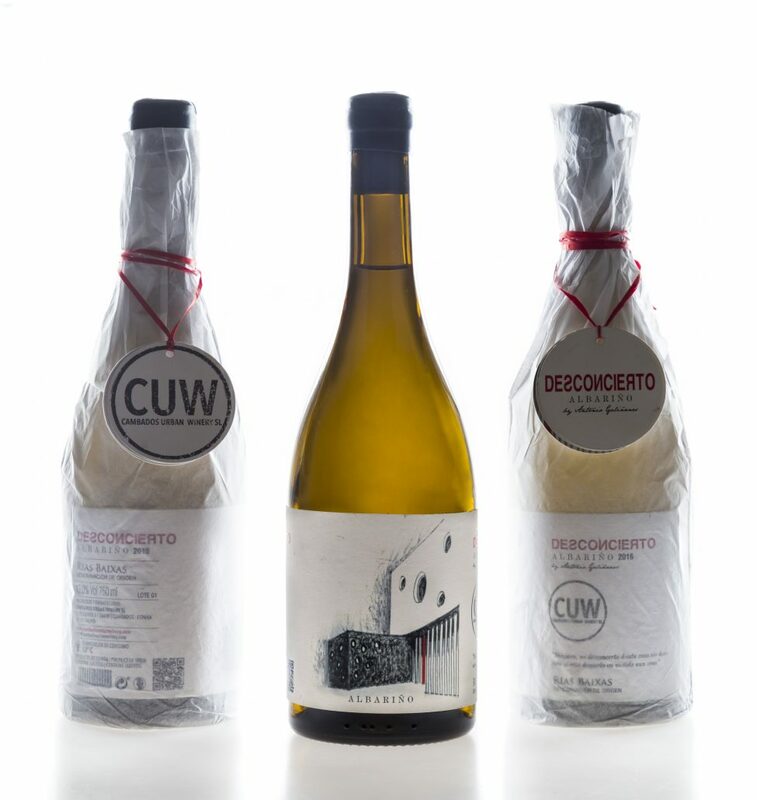 Launched with the commitment to conveying the exclusivity of our Cambados Terroir, Cambados Urban Winery is a Boutique winery which incorporates all that is local, traditional and contemporary in our wine-making process, with uniqueness as our distinguishing element. 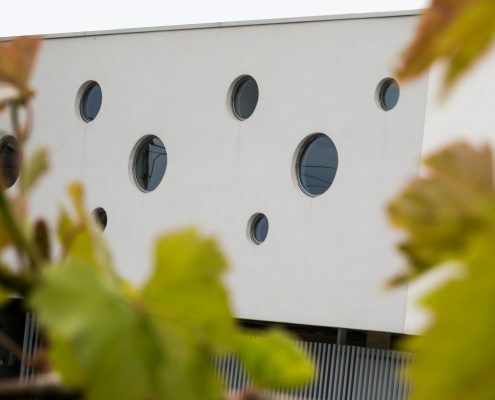 Blending viticulture with winemaking, tradition with modernity, so that our wines can be qualitatively the most competitive. Quality and differentiation to satisfy all our clients, both national and international. 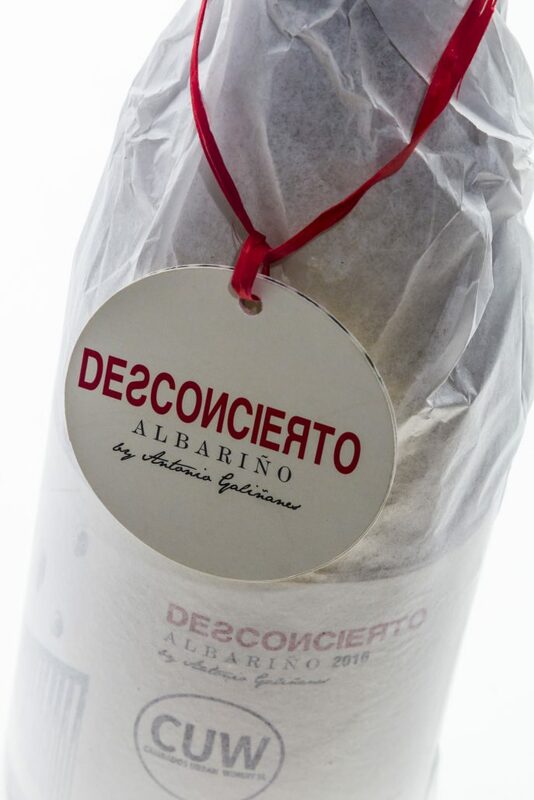 Desconcierto Albariño wine has been made exclusively from grapes of the Albariño variety and is produced in the town of Cambados. Our vineyards are situated at an altitude of 10 metres above sea level and the soil is basically composed of fine granite particles and sand. The spacing is 5 x 4 on a trellis system with a density of approximately 600 vines per hectare with an average age of not less than 25 years. 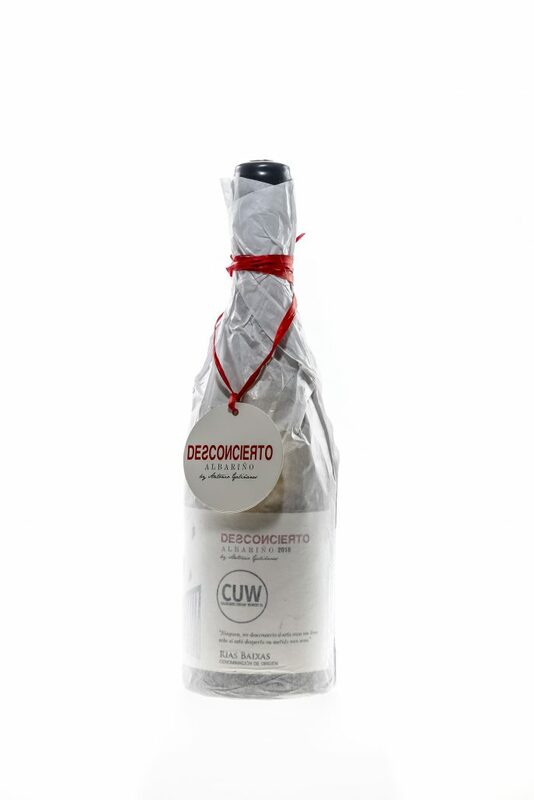 The abundant rainfall typical of the Galician climate, the town’s exposure to the sea and the geographical location of our vineyards, which are very close to the shores of the Arousa Estuary, give this wine a disconcerting, strong Atlantic character. The grapes are harvested by hand, in 18-kilo crates, towards the end of September. 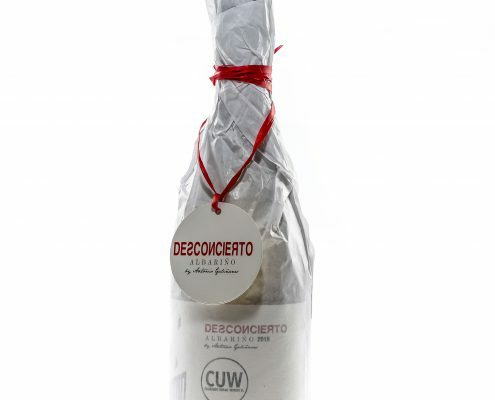 The grapes that are used to make DESCONCIERTO are selected in the vineyard. 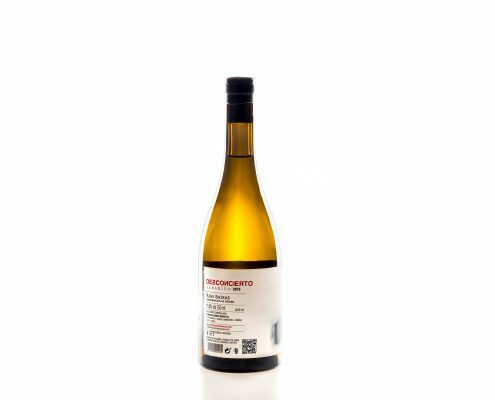 In the winery they undergo a long pressing, on average 4 hours, with graduated low intensity pressings and carefully-controlled yields. 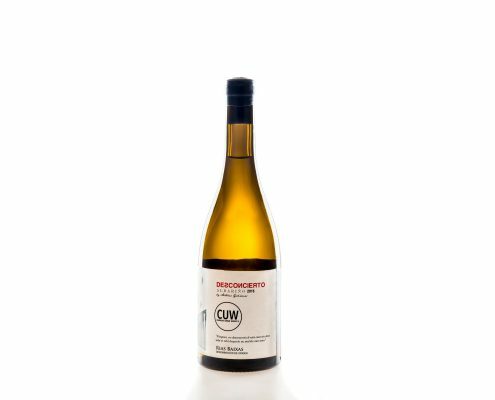 Once the must has been separated from the thicker sediment, fermentation commences spontaneously and the temperature is controlled round the clock. Two weeks after fermentation has finished the wine is separated from the lees, and transferred preserving the fine lees, which will be in solution in the wine using the technique of pump-over every 15 days, over 7 months. 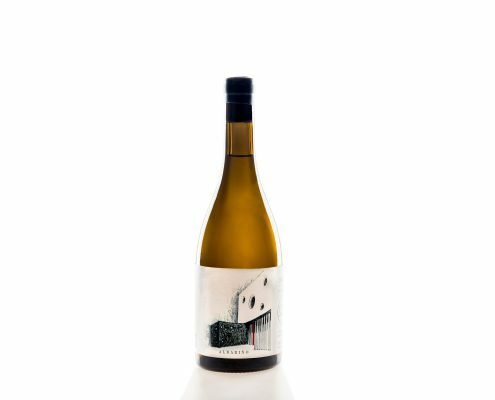 Very intense nose with ripe fruit aromas reminiscent of white peach, pear and apples. Light notes of vanilla and yeast, a result of aging and stirring in the vat. Wide palate, full and creamy. 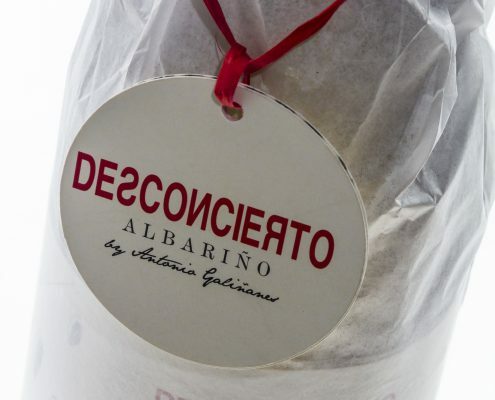 Well-integrated fixed acidity which gives it freshness and citrus notes. Long finish, slightly bitter and enveloping.